It wasn’t long ago that monitors with 4K panels and curved designs were inordinately expensive and required a hefty system to run, but that’s changed over the past few years. More recently we’ve seen the monitor market really come into its own. Previously exotic solutions have matured into affordable and increasingly high-performance options for gaming, media, and even your home office. Here the absolute best you can buy. Why you should buy this: You want a sensible but impressive curved ultra-wide monitor. 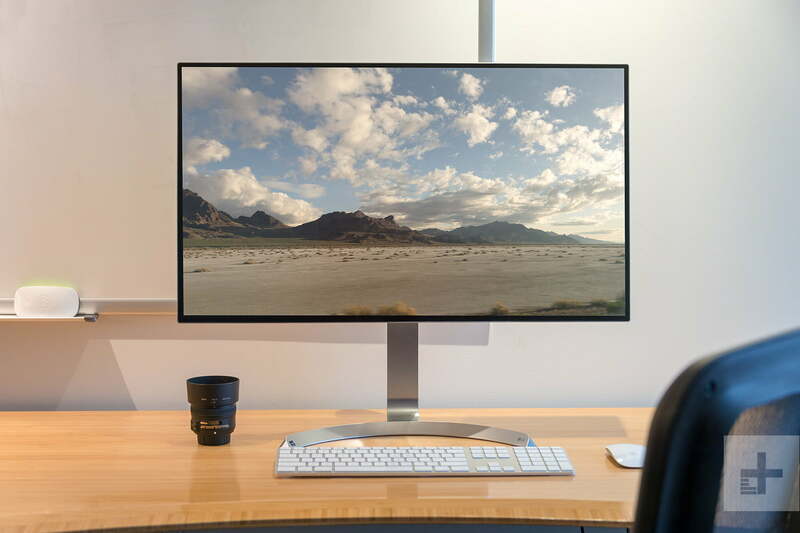 Most ultra-wide monitors offer a spectacular viewing experience — that’s what they’re for. But Samsung has somehow managed to outdo the competition with the CF791, delivering a stellar viewing experience, a deep curve, and a display that is almost otherworldly. Before you even turn it on, the Samsung CF791 cuts an elegant figure. A broad aluminum-colored disc supports a glossy white armature that seems to effortlessly hold the display aloft. And once you hit the power button, the CF791 just springs to life. Right out of the box, the colors and contrast are nearly pitch-perfect. Hitting a 940:1 contrast ratio without any calibration, and delivering nearly perfect color accuracy after calibration, the CF791 was full of surprises during our review. It consistently outperformed the competition and our expectations. Games look great, movies look great, and even day-to-day productivity is enhanced. That said, it’s not a 4K monitor, so that might be a downside if you’re looking for the highest resolution you can possibly get. But the CF791 delivers impressive display quality on a 21:9 1440p display panel that somehow manages to prevent any and all light-leakage. This monitor routinely sells for $800 online. 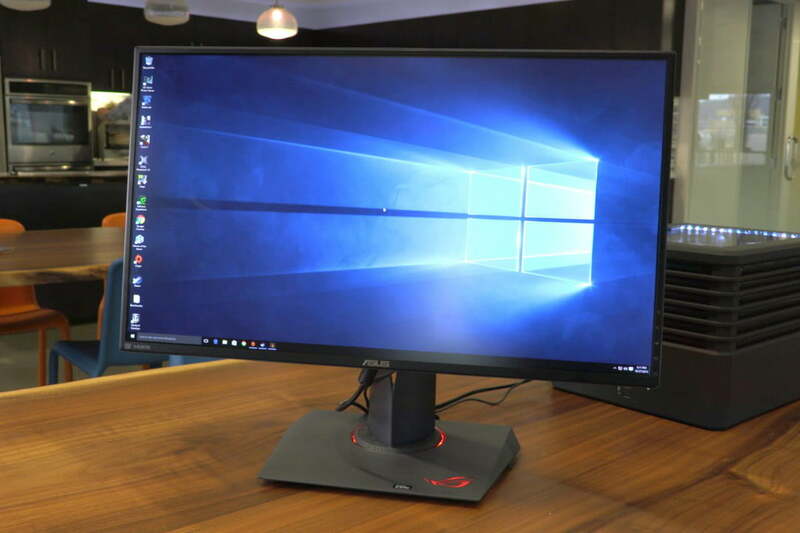 That’s not cheap, but given the fact that this CF791 is the best-in-class ultra-wide monitor, it’s an investment that will easily outlast your desktop. Why you should buy this: 1440p, 165Hz refresh rate, and Nvidia’s G-Sync. Who it’s for: Gamers, media enthusiasts. Simply put: it’s fast. Seriously, this thing is too fast for its own good. You can push the refresh rate up to 165Hz which is, currently, a little overkill. Let’s be honest, is your gaming rig powerful enough to run any recent games at 165 frames per second? Well, if isn’t today, it might be in the future, and that’s why the Asus ROG Swift PG279Q is our pick for best gaming monitor. Its price tag is justified in part due to the fact that it’s a little more future-proof than competitors with 1440p resolution. By allowing you to push the refresh rate to a currently unnecessary degree, it has a lot of head room. It will look smooth and vibrant for years. The monitor’s image quality is good, with sharp and crisp 1440p resolution, and solid marks in contrast. While it’s not technically the most impressive monitor we’ve tested, it is better than many of its gaming-oriented rivals. Playing Overwatch or Deus Ex: Mankind Divided is when this display really shines. Who it’s for: Photographers, graphic designers, anyone who needs perfect color accuracy above all else. For professionals like graphic designers, photographers, and film editors, a monitor needs to reproduce colors as faithfully as possible, and in our tests, the SW2700PT did just that. That might be an understatement. In fact, the SW2700PT reproduced colors almost perfectly. To put it in perspective, when a monitor reproduces colors there is almost always a slight difference between the displayed color and the color data itself. That “color difference” can skew the look of an image and cause problems when editing digital content. This BenQ has almost no noticeable color difference, so images shown on it appear as they should. It’s also bright, sharp, crystal-clear, and comes with an attachable shade to preserve color accuracy even in a bright office environment. The SW2700PT is a fantastic monitor, and the best choice if you’re in the market for a new professional-grade display solution. BenQ also offers a 4K model, the BenQ SW271, though you’ll spend over $1,000 on it. Meanwhile, the larger 32-inch model will cost closer to $1,400. Why you should buy this: You don’t mind 1080p and don’t want to break the bank. Who it’s for: Anyone looking for a great monitor under $300. This one is not exactly a showstopper, but it will earn your respect with an impressive spec sheet and excellent contrast ratio. 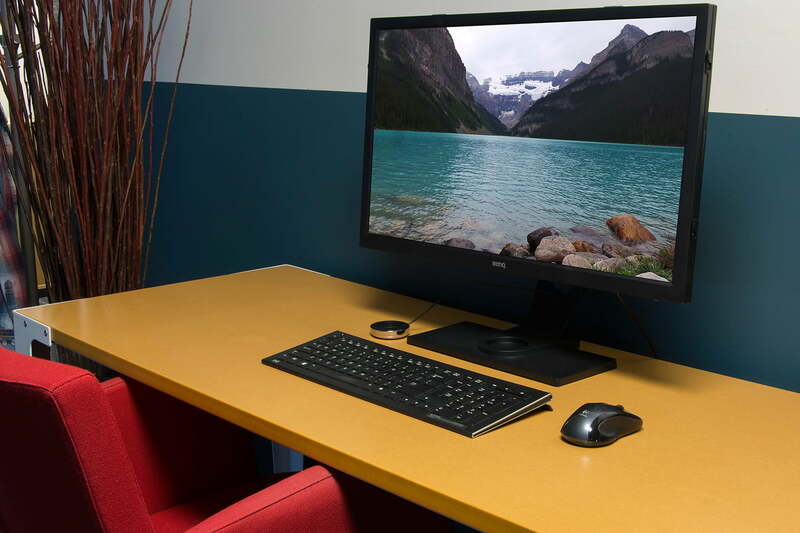 The Dell S2419H is a reliable all-around choice for a home office or a dorm-room desktop. If you just want a monitor that will work well — but more importantly won’t cost you an arm and a leg — look no further. The Dell S2419H isn’t just a good budget monitor, it’s a good monitor overall. The color accuracy is fantastic, and the contrast ratio is still extremely competitive, coming in at 1000:1 at full brightness. If you’re looking for a good all-around monitor, but you don’t want to make the jump to 4K or invest in an ultrawide, this is a very good pick. Aspect Ratio: It’s the relation of the monitor’s width to its height. Most monitors are 16:9 — the same as an HDTV. But some are 21:9, which means they’re much wider than a typical display. FreeSync and G-Sync: These are two, separate frame refresh technologies. the former promoted by AMD, the latter proprietary to Nvidia. Read our comparison of FreeSync and G-Sync to learn more. Resolution: How many pixels the monitor has. More tends to provide a sharper, more realistic image. The most common options are 1080p, 1440p, and 4K. Refresh Rate: Express in hertz, abbreviated “Hz” — This is the number of times the monitor image refreshes each second. The standard monitor has a 60Hz display, but a higher refresh rate can make the monitor look smoother in motion. 144Hz is a sweet spot for high-performance gaming. 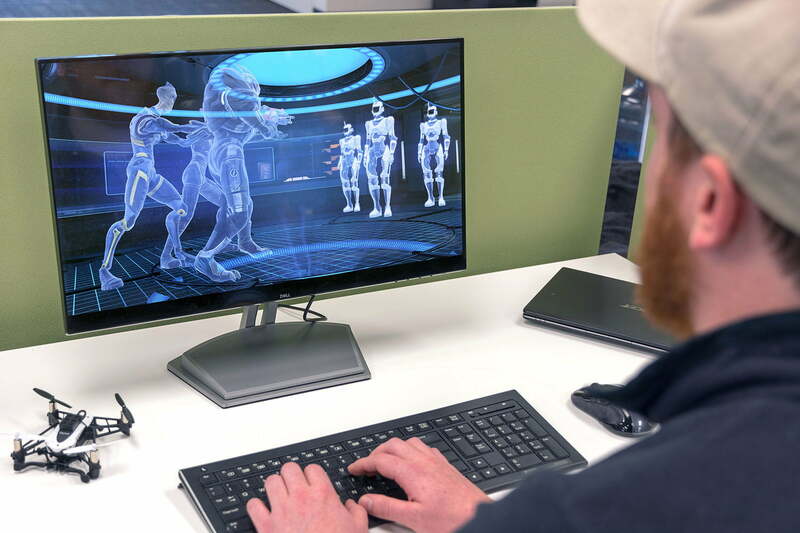 We test monitors by putting them through a comprehensive series of test that includes color accuracy, color gamut, gamma, brightness, contrast, and black levels. Our testing is complimented with real-world use, so we know how the monitor will look to you every morning. Our testing is conducted with both out-the-box and calibrated settings. By doing this, we can tell you whether or not the monitor will look good from the moment you turn it on, and if you’ll see much benefit from tweaking its settings.